My name is Stephen Hamilton and I'm from the Greater Toronto Area.I have been playing hockey since I can remember.I love watching it, learning about it and most importantly, playing it!I currently play for my high school varsity team as well as various mens leagues and local teams which allows me to be on the ice a ton.I also work at a hockey shop and sell/fit equipment.I am 6'1 and weigh 170 pounds.I usually use a p92 curve with an 87 flex but love to try new patterns.Feel free to comment any questions you may have. At the start of the 2015-2016 season I was looking for a new stick and decided to go with the 2015 Bauer Vapor 1X. I had heard mixed things about this stick, but more good than bad and I wanted to stay in the Bauer stick family (decided to switch it up from my previous Nexus 8000) which is why I went with this one. 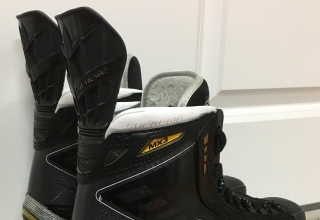 The thing that really drew me in to my original purchase was the complete redesign of the previous APX 2 in the Vapor family (which also offers the low-kick point). The 1X was advertised as being for quick-release shots and for players that like handling the puck, which is exactly what I was looking for. This led me to having high expectations with it being Bauer’s flagship stick at the time as well as being advertised as their lightest stick to be released yet. Also, the fact that it was not cheap and was in the hands of many NHL players at the time made it seem like I was getting the best Bauer had to offer in the twig department. “What are the new features?” was my first question when I first saw it in stores. On paper, the previous APX 2 weighs a mere 430 grams whereas the 1X is said to weigh 420. From the measurements I did, the APX 2 clocked in at 435 and the 1X being 425 (very slight difference between theoretical and actual weights). 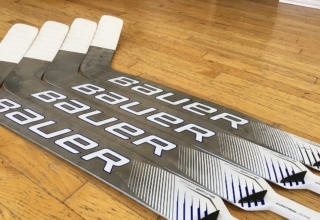 One feature that I enjoyed that is specific to the Vapor line for Bauer is the slightly rounded edges that are, in my opinion, an upgrade from previous “boxy” shafts because the stick feels better in my hands as well making it easier to handle the puck with. The second feature that I found noticeable is the QRT (Quick-Release Taper) technology. This is essentially the taper right before the blade but just after the shaft. 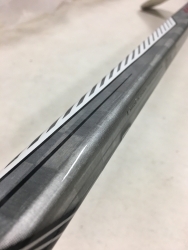 As opposed to having a conventional taper that just continues with the same shaft shape right to the blade, Bauer has actually thinned it out to look almost flat-like. This provides an even easier time in the loading of the puck for snapshots because it is quick to flex without losing any power. 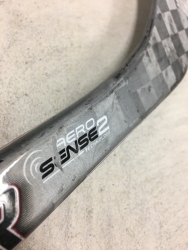 This leads to my third and favourite piece of technology in the stick which is what Bauer calls Aero-Sense 2 Technology, which applies to the blade. 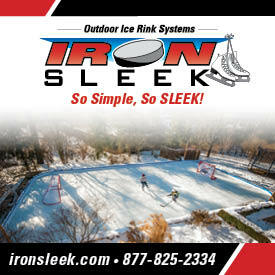 This technology means a very crisp, sturdy blade that improves puck feel for handling as well as helping with quick release shots by hitting the puck with much more force. On a stick this light, you would expect it to be a little unbalanced or blade-heavy. However, I was happily surprised at how well balanced the stick is. Even the crisp blade carried on the lightweight feel of the stick. 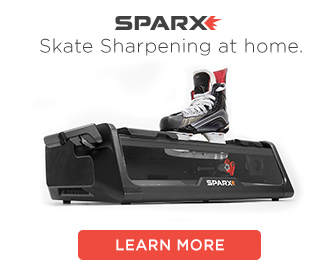 The 1X was released in all hockey markets back in 2015. Any store that sells higher-end equipment would sell this stick. 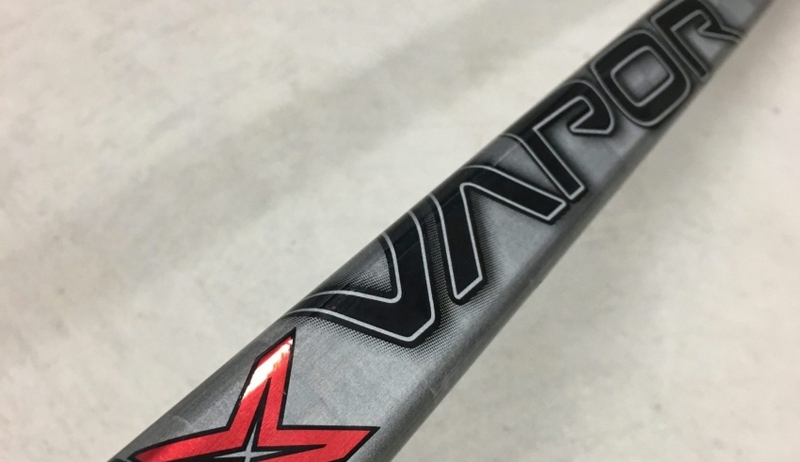 Now, the Vapor line has a newer 2016 1X but the 2015 model is still widely available and at a much cheaper price than the original $309.99 CAD price tag or the $329.99 price tag of the 2016 edition. I am happy I went with the stick and would recommend it to anyone who handles the puck often. Even though it is marketed as a quick-release shot stick, I find I can still get a decent slap-shot with it without any degrade in power or accuracy. The minimal weight is both a curse and a blessing, in it being great for performance, but hard to go back to a heavier, but also less expensive, option in the future. I would note that the durability of the stick could have been better as I had to warranty the stick when it broke earlier-on, but I am also very hard on my sticks between taking countless faceoffs and numerous slashes in the corners. Overall the stick is a very reliable consistent performing piece of equipment that is still one of my go-to options. 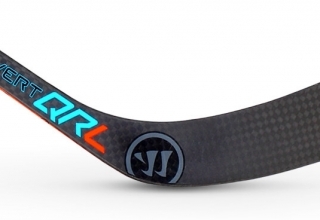 Performance: The stick consistently performs at a high-level, game-in and game-out. What you would expect from a high-end stick. Flex: I originally had the 77 flex and thought that was fine, but when I snapped that from a shot I was not willing to take the risk of that happening again so I went with the 87 flex. 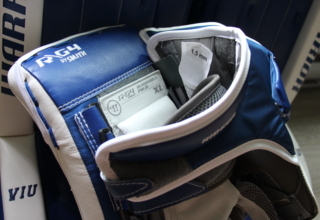 When you customize a stick through myBauer, they offer an 82 flex option which I feel would be perfect for me. Weight: Being one of the lightest sticks on the market, I am not disappointed with the weight at all. Curve: I went with the P92 Ovechkin as I usually do and it suits me fine for accuracy and handling. Balance: Even with the lightweight feel the stick still seems balanced and not blade heavy. 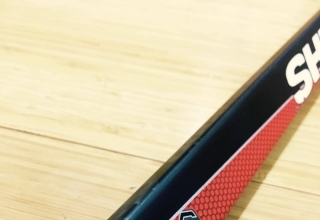 Look: The stick looks pretty slick with the grey and red combo. 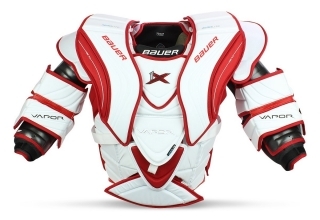 Durability: This is an area that was lacking, but Bauer has apparently made improvements in the 2016 model. Price: With a $309.99 CAD price tag, it was not cheap to say the least when it was first released, but it seems like elite level sticks are getting more and more expensive every year. 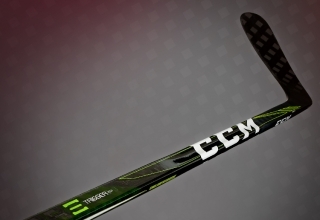 The good news is that this stick is now in the $150 CAD range which is a great deal. Recommendations: Despite being a 2015 model, I would still put this in the hands of a player that likes to rush the puck and make moves in the offensive zone, as well as firing quick shots in close. 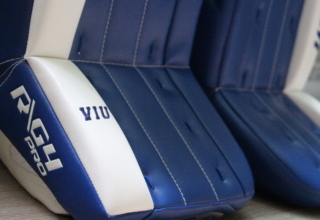 Next article Brian’s G-Netik 3/Sub Zero 3 Gear Review | Why I’ll Never Order from Brian’s Again. My name is Stephen Hamilton and I'm from the Greater Toronto Area. I have been playing hockey since I can remember. I love watching it, learning about it and most importantly, playing it! I currently play for my high school varsity team as well as various mens leagues and local teams which allows me to be on the ice a ton. I also work at a hockey shop and sell/fit equipment. I am 6'1 and weigh 170 pounds. I usually use a p92 curve with an 87 flex but love to try new patterns. Feel free to comment any questions you may have.